Passenger traffic through Moscow’s Vnukovo Airport (VKO) declined in November for the first time in a long period of time, the Federal Air Transport Agency reports. The airport served 804,800 passengers, or 14.7% down year-on-year, due to a 53.7% plunge in international traffic (to 205,000 passengers, against 442,300 served in November 2014). Turkey and Uzbekistan top the list of the most popular international scheduled destinations from Vukovo, while most charter travelers head for Cyprus and the Dominican Republic. Inside Russia, St. Petersburg remains the most popular destination, followed by Krasnodar, Yekaterinburg, and Sochi. Vnukovo’s base airline, UTair Aviation, has launched flights to Vladivostok and Petropavlovsk-Kamchatsky, contributing to the 20% growth in domestic traffic, which reached 60,000 passengers in November. The decline in Vnukovo’s traffic numbers is directly linked to the fact that Russia’s second largest carrier Transaero left the market in late October. The other major factor is the ban introduced first on Russian passenger flights to Egypt, and then on charter flights to Turkey in early November. Now that Transaero has left the market, Vnukovo is going to focus its efforts on cooperation with Rossiya Airlines, TASS newswire cites the airport’s chairman Vitaliy Vantsev as saying. The aforementioned factors caused a 16.7% decrease in traffic at Domodedovo. The airport served 1.9 million passengers last month, against 2.2 million the year before. 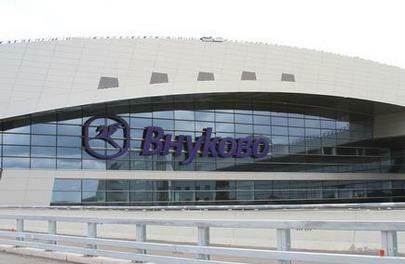 Of Moscow’s three major airports, only Sheremetyevo demonstrated a 4.3% growth, to 2.3 million passengers. The airport’s base airline Aeroflot greatly contributed to the figure. In total, international traffic through Moscow decreased 19.3% for scheduled flights and 8.9% for charter operations in November. Domestic traffic demonstrated a growth of +3.2% and +8.5%, respectively. In the first 11 months of the year, traffic through Vnukovo grew 28.3% to 15.1 million passengers; Domodedovo reported a 7.6% decrease to 28.6 million passengers, and Sheremetyevo, a 0.2% decrease to 29 million passengers. Total domestic traffic grew 15.1% to 36.9 million passengers, while international traffic fell 9.9% to 35.8 million passengers.